Tourist Attractions Kerala - There are many popular tourist attractions in Kerala for your vacations. Kerala is a narrow strip of land lying at the southernmost tip of India. On the west of Kerala, lies Arabian Sea and the high ranges of Western Ghats on the east. A South India tour with Kerala will be a wonderful experience. What is so great about Kerala India Tourism, you may wonder. Kerala is blessed with 44 rivers, a vast network of lakes, 1500 kms of labrinthine canals, mesmerizing snake boat races, over 300 species of birds, floating markets.... showcasing the magnificence of Kerala Backwaters, which is only unique to this little paradise. All about Kerala - Kerala is also known as God's Own Country. Nature has blessed this State abundantly with beautiful geographical features. The exotic beaches, tranquil stretches of emerald backwaters, wild life sanctuaries, beautiful waterfalls and the lush hill stations are all in close proximity. Kerala has a vibrant cultural heritage which is one of the reasons for making this land a wonderful destination for tourists. Ayurvedic health holidays, historic and cultural monuments,enchanting art forms such as Mohiniyattam, Kathakali, Ottam Thullal, and Kalari Payattu, colorful festivals, and mouth watering cuisine all have added attraction for this tourist place. Kerala destinations also enjoys an equable climate. This State is an epitome of secularism and a masterpiece of unity in diversity. You can see this feature in the entire landscape which is dotted with temples, churches, mosques and synagogues, which attract for the tourist attractions Kerala. 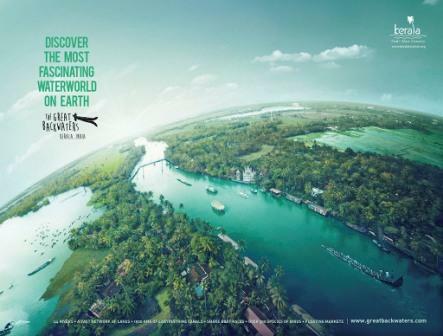 Today, Kerala has emerged as one of the most sought after tourist destinations in Asia. Asia's Greatest Shopping mall Lulu is in Kochi, Kerala. People from all parts of the globe come here to experience this wonder land, God's Own Country, of popular Destinations of Kerala. Wayanad, nestled among the mountains of Western Ghats. Palakkad (Palghat), Gateway to Kerala from the north. Kasargod Bekal Fort is the main attraction here. Kaladi Read this page about Kaladi, submitted by a visitor. From Kerala Destinations - Go to Home Page.